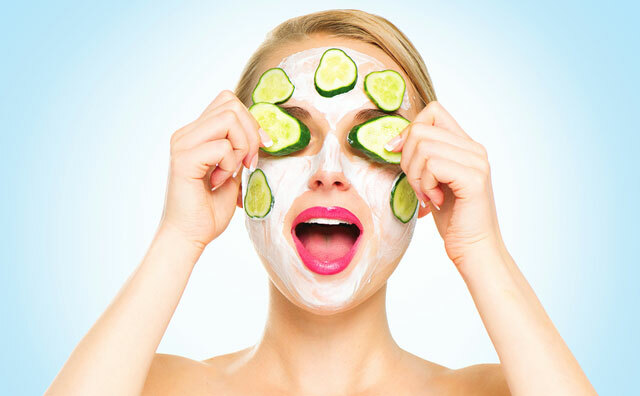 As a beauty editor, I've been testing beauty gadgets for years and have found that the best at-home products can get results and are much more affordable than doctor's office treatments. Surprise the beauty lover in your life with these 7 gadgets that really work. The Dafni Hair Straightening Ceramic Brush straightens hair as you brush. It heats up a to a lower temperature than most flat irons and doesn’t enclose the hair, so it is less damaging. But the real win here is the ease of use. It’s just as easy as brushing, albeit in small sections (no more than three inches wide). The product won’t get very curly hair bone straight. For example, the ends won’t get completely sleek because there’s not enough tension as the hair passes through the brush to get them straightened. But this would be an ideal tool for someone with wavy hair or hair with a bit of texture who wants a quick, sleek look. Perhaps no doctor’s visit is more dreaded than the semi-annual dentist appointment. The Sonicare Flexcare Platinum won’t keep you out of the chair for cleanings but it will keep those “I see a cavity” moments to a minimum. 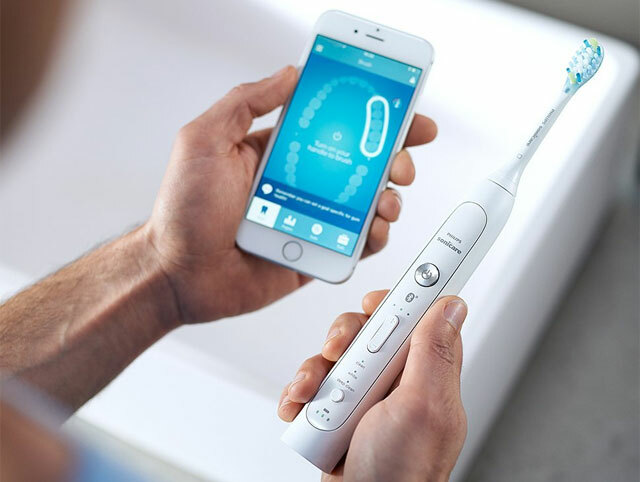 This latest iteration of the sonic-vibrating toothbrush is connected to an app and uses pressure sensors to tell you where you need to spend some extra time brushes. A Touch-Up mode on the brush encourages you to go back and handle the weak spots with 20 seconds each of brushing time. The app also analyzes your brushing technique and videos in the app relay pro advice for improving. And as with all Sonicare brushes, plaque removal and gum health are way better than going manual. Overall, a great gift for the hard-to-buy-for since everyone can benefit from a better brush. The HiMirror is for the information junkie. 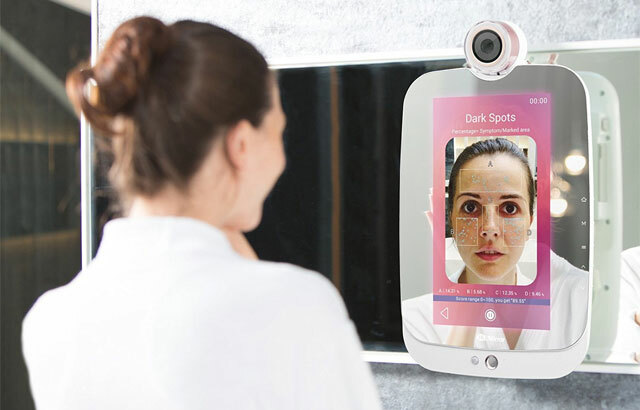 You stand in the mirror and it tells you what you need to fix about your skin—dark spots, pores, dark circles... We could go on, but if you’ve looked in any old mirror, not just a high-tech one, you get the picture. So the utility for someone who’s pretty informed about their own skin, comes in after weeks of use. You essentially have your picture taken every day. And after time, this gadget will analyzes trends. Have those infuriating little lines around your eyes faded? Before the HiMirror, you may use an eye cream for weeks and not know if it's working. This mirror knows. It does that by assuming a standardized environment — meaning don’t move this thing from your bright bathroom to warmly-lit bedroom and expect reliable results. The HiMirror is also good for the skincare clueless: People who want to get started working on skincare, but don’t know where to start or even what to look for. For better or worse, this thing will point out your flaws and help you pick the right products to address them. Tria Age-Defying Eye Wrinkle Correcting Laser is a gentler version of the skin-smooth fractional laser doctors use in-office. Pass the device in circular motions around the eye, from the crow’s feet down around to the inner corner of the eye. The light from the laser creates tiny wounds deep inside the skin. The body’s natural healing process stimulates collagen production, which eventually smooths lines on the face. The best thing about this device is that it actually works (I've tried it.). It’s proven technology in a milder form for at-home use. But don’t buy it for the faint of heart, it does hurt a bit. The pain is comparable to being snapped by a mini rubber band. It also takes a while to show results. After eight weeks of daily use, you’ll have to wait another four for full benefits. The Nu Skin AgeLOC Me houses your personalized skincare regimen in one easy package. The process starts with an online assessment — a series of questions on your environment, skin, and product preferences. The questionnaire asks, for example, how many hours you spend outside each day and lets you select pictures to show the extent of your fine lines or age spots. Noticeably absent is any place to indicate problems like acne or extreme dryness. Based on the online assessment you're given a customized routine corresponding to cartridges you load into the Nu Skin AgeLOC, which is essentially a product dispenser. the AgeLOC Me dispenser mixes the serums and lotions each time it dispenses, which means it can mix anti-aging ingredients that don't store well combined in off-the shelf products. This skincare gadget is a great option for the person who’s highly organized and would want to avoid the product clutter that can inevitably come with skincare cherry-picking. Everything you need for day and nighttime regimens is in one neat, sleek package. 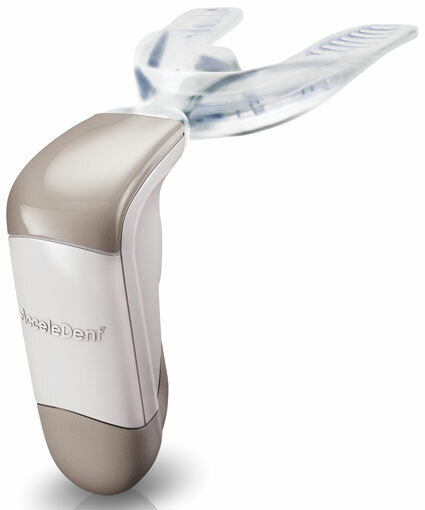 The handheld Quasar MD Baby Blue treats acne with LED blue light, penetrating the skin to kill pimple-causing bacteria. If you have someone with acne in your life, you know an effective treatment is just about the best gift you can give him or her. And this light works (I know from personal experience) specifically on inflammatory acne—the small red pimples and whiteheads that are common among acne sufferers. The process is simple and painless. Make light-to-skin contact and pass it over the face continuously during the treatment time. Like most light treatments, the Quasar requires frequent use, about three to five days per week for at least eight minutes each time. But for an acne fix, it’s well worth it. The AcceleDent can cut orthodontic treatment time in half. Who knew this even existed? Orthodontic treatment is typically a gradually lengthening process (You start with a nine-month treatment plan, but 12 months later you’re still in braces). The AcceleDent is a gently vibrating mouthpiece — if you’ve ever used a Sonicare toothbrush, the vibrations are much softer than that. Worn for 20 minutes per day, the vibrations help bones surrounding the teeth move to move which is basically an assist to your braces or aligners. Twenty minutes per day is a nice chunk of time, but you grip the device between the teeth so it’s hands-free — super easy to teeth-vibrate while your couch-surfing. The AcceleDent also soothes the tooth soreness that happens when getting new aligner trays or braces tightened. It’s not the most glamorous of presents, but any orthodontic patient will tell you, getting out of treatment early is the best gift of all. It’s available by doctors only, so call the office to order the device and surprise your favorite patient.